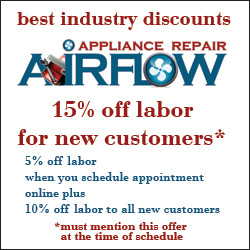 Airflow Appliance Repair - Special Offers. To receive a discount, please mention the coupon to the service technician. and receive a 10% OFF labor discount.